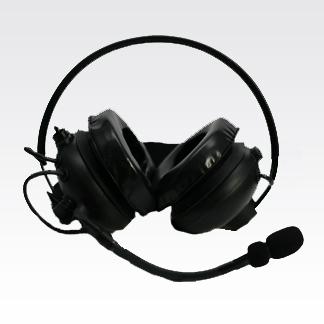 This is a Heavy-duty headset with behind-the-head dual muff. MOTOROLA, MOTO, MOTOROLA SOLUTIONS and the Stylized M Logo are trademarks or registered trademarks of Motorola Trademark Holdings, LLC and are used under license. All other trademarks are the property of their respective owners. © 2017 Motorola Solutions, Inc.